Created by Key Club International, the general responsibilities of your position can be found below. While every club is unique, they have some good general guidelines you can look at and utilize for the betterment of your club. As secretary, maintaining up-to-date membership information is crucial for your club. With the newly developed membership update center, registering members and modifying current information has become much easier. Resources below can greatly help with your duties. International/District dues are $12.50 per member. As your home club's webmaster, your role is vital in assisting and helping other club officers through the use of technology and social media. 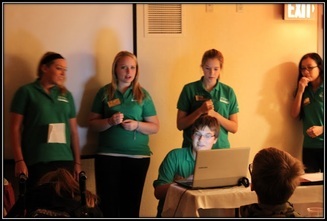 Through the use of traditional and modern methods, you can have a vast impact on the club with regard to increasing awareness of Key Club, promoting events and fundraiser within your school and community, as well as built lifelong connections with the other 275,000 Key Clubbers around the world! Below are some resources to help make your goals and objectives more successful. Webmastery 101 - Learn The Basics Under 10 Minutes! Social Media 101 - What Is There Besides Websites?